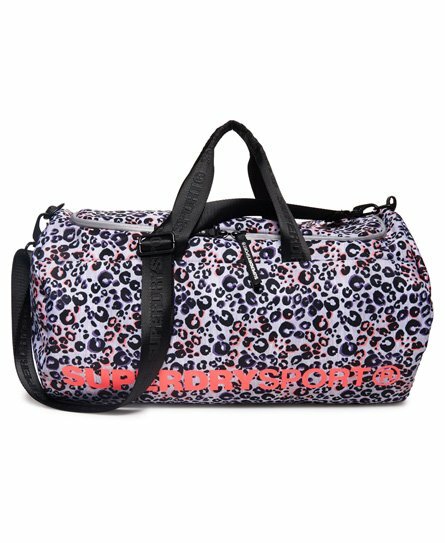 Superdry women's Sport barrel bag. Keep your workout gear all together with the Sport barrel bag, featuring a large main compartment with zip fastening, detachable adjustable shoulder strap and twin grab handles. The bag is completed with a Superdry Sport logo on the front and logo badge on one end.